I had three newborn sessions this week – two little girls and one little boy. They all have names starting with the letter C 🙂 First up was this little boy named Charles who was such a joy to capture- he has such a great and easy personality and spent the beginning part of the session fast asleep. This is one of my absolute favorite shots from his session. I love how simple and natural it is- it really sums up with the newborn stage is all about. 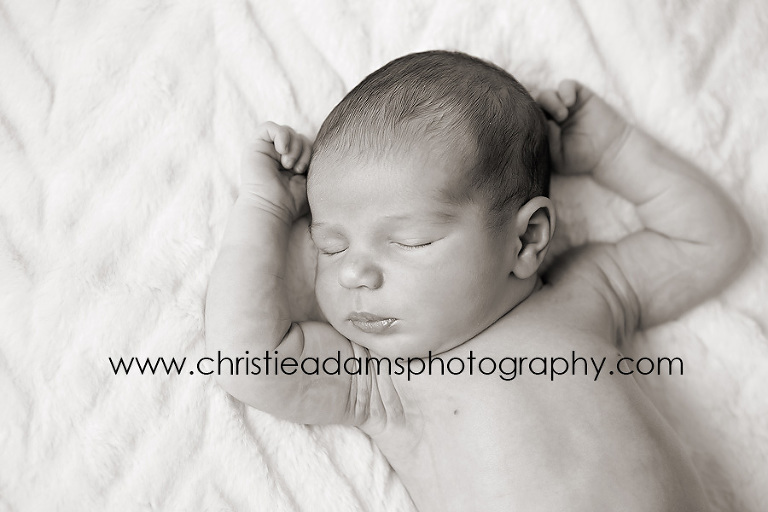 Christie Adams Photography has been a NJ newborn photographer for 11 years and has photographed over 550 babies since 2007. The studio specializes in timeless and classic portraits of babies. The focus is always on your baby and NOT on elaborate props or a backdrop or a set. Those all quickly date photos. Instead, with minimal props, your images will stand the test of time and look just as beautiful on display in your home decades from now as they do today. The studio is currently booking winter newborn sessions. If you are looking for a northern NJ baby photographer be sure to book while you are still pregnant to ensure availability.